The BI is a new trend in public sector organizations that requires investigating the critical success factors (CSFs) which would provide a sound guidelines for determining the criteria to be considered during BI implementation. However, there is no sufficient empirical evidences that provide better understanding of the CSFs for the BI implementation in public sector organizations. This paper aims to identify the CSFs for BI system in the context of public sector organizations. This study adopts a mixed method approach using survey research method and qualitative interview using Jordanian public sector organization case. The findings of this research revealed that top management support, clear vision and strategic planning, team skills, user participation, organizational structure, user access and development technology are the most critical factors to BI implementation success in the public sector organizations. The findings of this study could assist the practitioners in the public sector organizations in planning, managing and implementing their BI projects properly by focusing on those CSFs of BI systems that provide them a better understanding to address issues and concerns related to BI implementation. Abdel Rahim. M. Zabadi, M.s.a., 2015. IMPACT OF BUSINESS INTELLIGENCE ON EMPLOYEE KNOWLEDGESHARING IN JORDANIAN TELECOMMUNICATION COMPANY. 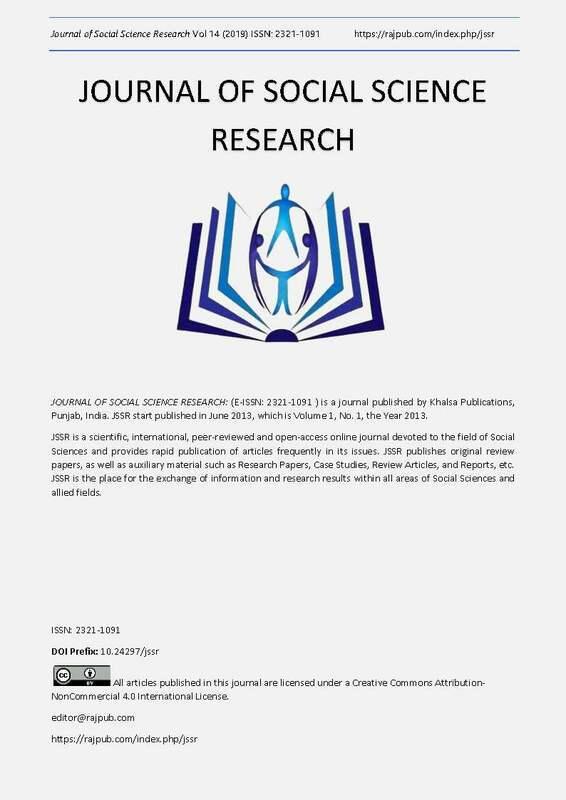 International Journal of Education (IJE) Vol. 3, No. 3. Adamala, S., Cidrin, L., 2011. Key success factors in business intelligence. Ahmed, A.I., 2016. BIG DATA FOR ACCREDITATION: A CASE STUDY OF SAUDI UNIVERSITIES. Journal of Theoretical & Applied Information Technology 91. Al-Htaybat, K., Von Alberti-Alhtaybat, L., 2017. Big Data and corporate reporting: impacts and paradoxes. Accounting, Auditing & Accountability Journal 30, 850-873. Alhyasat, E.B., Al-Dalahmeh, M., 2013. Data warehouse success and strategic oriented business intelligence: a theoretical framework. arXiv preprint arXiv:1307.7328. Anthony, R.N., University, M.G.S.o.B.A.H., 1965. Planning and control systems: a framework for analysis. Arefin, M.S., Hoque, M.R., Bao, Y., 2015. The impact of business intelligence on organization’s effectiveness: an empirical study. Journal of Systems and Information Technology 17, 263-285. Barakat, S., Al-Zu’bi, H.A., Al-Zegaier, H., 2013. The role of business intelligence in knowledge sharing: a Case Study at Al-Hikma Pharmaceutical Manufacturing Company. European Journal of Business and Management 52, 237-242. Bargshady, G., Alipanah, F., Abdulrazzaq, A.W., Chukwunonso, F., 2014. Business Inteligence Technology Implimentation Readiness Factors. Jurnal Teknologi 68. Bargshady, G., Alipanaha, F., Abdulrazzaq, A.W., Chukwunonso, F., 2014. Business Inteligence Technology Implimentation Readiness Factors. Jurnal Teknologi 68, 7-12. Binti Mohamad, E.S., bin Mohamed, I., MyBI: A Business Intelligence application development framework for Malaysian public sector. Statistics in Science, Business, and Engineering (ICSSBE), 2012 International Conference on, 2012, pp. 1-4. Bischoff, S., Aier, S., Haki, M.K., Winter, R., 2015. Understanding continuous use of business intelligence systems: A mixed methods investigation. JITTA: Journal of Information Technology Theory and Application 16, 5. Brown-Liburd, H., Issa, H., Lombardi, D., 2015. Behavioral implications of Big Data's impact on audit judgment and decision making and future research directions. Accounting Horizons 29, 451-468. Chen, H., Chiang, R.H., Storey, V.C., 2012. Business intelligence and analytics: From big data to big impact. MIS quarterly 36, 1165-1188. Coman, M., 2009. Business Intelligence and E-governance. Lex ET Scientia Int'l J. 16, 484. Creswell, J.W., 2012. Qualitative inquiry and research design: Choosing among five approaches. Sage publications. Daniel, D.R., 1961. Management information crisis. Harvard Business Review 39, 111-121. Dawson, L., Van Belle, J.-P., 2013. Critical success factors for business intelligence in the South African financial services sector. SA Journal of Information Management 15, 12 pages. Dawson, L., Van Belle, J.-P., 2013. Critical success factors for business intelligence in the South African financial services sector: original research. South African Journal of Information Management 15, 1-12. Dooley, P., 2015. An Empirical Development of Critical Value Factors for System Quality and Information Quality in Business Intelligence Systems Implementations. Doom, C., Milis, K., Poelmans, S., Bloemen, E., 2010. Critical success factors for ERP implementations in Belgian SMEs. Journal of Enterprise Information Management 23, 378-406. Dresner, H., 1989. Business Intelligence. Gartner Inc.
Eid, R., 2007. Towards a successful CRM implementation in banks: An integrated model. The service industries journal 27, 1021-1039. Flyverbom, M., Deibert, R., Matten, D., 2017. The Governance of Digital Technology, Big Data, and the Internet: New Roles and Responsibilities for Business. Business & Society, 1-17. Foley, E.a.M.G., 2010. What is Business Intelligence? International Journal of Business Intelligence Research, 1-28. Foshay, N., Kuziemsky, C., 2014. Towards an implementation framework for business intelligence in healthcare. International Journal of Information Management 34, 20-27. Gaardboe, R., Nyvang, T., Sandalgaard, N., 2017. Business intelligence success applied to healthcare information systems. Procedia Computer Science 121, 483-490. Gaardboe, R., Svarre, T., Critical factors for Business Intelligence Success. Proceedings of the 25th European Conference on Information Systems (ECIS),, Guimarães, Portugal, 2017, pp. 472-486. Gaardboe, R., Svarre, T., 2018. BUSINESS INTELLIGENCE SUCCESS FACTORS: A LITERATURE. Journal of Information Technology Management 29, 1. García, J.M.V., Pinzón, B.H.D., 2017. Key success factors to business intelligence solution implementation. Journal of Intelligence Studies in Business 7. Götz, O., Liehr-Gobbers, K., Krafft, M., 2010. Evaluation of structural equation models using the partial least squares (PLS) approach, Handbook of partial least squares. Springer, pp. 691-711. Gray, P., 2003. Business intelligence: A new name or the future of DSS. DSS in the uncertainty of the Internet age. Katowice: University of Economics. Grublješi?, T., Jakli?, J., 2015. Conceptualization of the business intelligence extended use model. Journal of Computer Information Systems 55, 72-82. Hackney, R., Parrish, J., 2015. Critical value factors in business intelligence systems implementation success: An empirical analysis of system and information quality. Hartley, K., Seymour, L.F., Towards a framework for the adoption of business intelligence in public sector organisations: the case of South Africa. Proceedings of the South African Institute of Computer Scientists and Information Technologists Conference on Knowledge, Innovation and Leadership in a Diverse, Multidisciplinary Environment, 2011, pp. 116-122. Hawking, P., Sellitto, C., Business Intelligence (BI) critical success factors. 21st Australian Conference on Informafion Systems, 2010, pp. 1-3. Hou, C.-K., 2012. Examining the effect of user satisfaction on system usage and individual performance with business intelligence systems: An empirical study of Taiwan's electronics industry. International Journal of Information Management 32, 560-573. Hung, S.-Y., Huang, Y.-W., Lin, C.-C., Chen, K., Tarn, J.M., Factors Influencing Business Intelligence Systems Implementation Success in the Enterprises. PACIS, 2016, pp. 297. Isik, O., Jones, M.C., Sidorova, A., 2011. Business intelligence (BI) success and the role of BI capabilities. Intelligent systems in accounting, finance and management 18, 161-176. I? ?k, Ö., Jones, M.C., Sidorova, A., 2013. Business intelligence success: The roles of BI capabilities and decision environments. Information & Management 50, 13-23. Jamaludin, I.A., Mansor, Z., 2011. The Review of Business Intelligence (BI) Success Determinants in Project Implementation. International Journal of Computer Applications 33. Jan, M.T., Omar, A., Zain, O.M., Abdullah, K., 2011. A roadmap for CRM success: in light of the technology CSFS. JM International Journal of Marketing Management (JMIJMM) 1, 181-192. Khojasteh, N., Ansari, R., Abadi, H.R.D., 2013. A Study of the Influencing Technological and Technical Factors Successful Implementation of Business Intelligence System in Internet Service Providers Companies. International Journal of Academic Research in Accounting, Finance and Management Sciences 3, 125-132. Kulkarni, U., Robles-Flores, J.A., 2013. Development and validation of a BI success model. Kulkarni, U.R., Robles-Flores, J.A., Popovi?, A., 2017. Business intelligence capability: the effect of top management and the mediating roles of user participation and analytical decision making orientation. Journal of the Association for Information Systems 18, 516. Lautenbach, P., Johnston, K., Adeniran-Ogundipe, T., 2017. Factors influencing business intelligence and analytics usage extent in South African organisations. South African Journal of Business Management 48, 23-33. Lim, E.-P., Chen, H., Chen, G., 2013. Business intelligence and analytics: Research directions. ACM Transactions on Management Information Systems (TMIS) 3, 17. Lönnqvist, A., Pirttimäki, V., 2006. The measurement of business intelligence. Information systems management 23, 32. Luhn, H.P., 1958. A business intelligence system. IBM Journal of Research and Development 2, 314-319. Mettler, T., Vimarlund, V., 2009. Understanding business intelligence in the context of healthcare. Health informatics journal 15, 254-264. Minelli, M., Chambers, M., Dhiraj, A., 2012. Big data, big analytics: emerging business intelligence and analytic trends for today's businesses. John Wiley & Sons. Müller, R.M., Linders, S., Pires, L.F., 2010. Business intelligence and service-oriented architecture: a Delphi study. Information Systems Management 27, 168-187. Mungree, D., Rudra, A., Morien, D., 2013. A framework for understanding the critical success factors of enterprise business intelligence implementation. Nasab, S.S., Selamat, H., Masrom, M., 2015. A delphi study of the important factors for BI system implementation in the public sector organizations. Jurnal Teknologi 77, 113-120. Negash, S., 2004. Business intelligence. The communications of the Association for Information Systems 13, 54. Negash, S., Gray, P., 2008. Business intelligence. Springer. Nguyen, L., Bellucci, E., Nguyen, L.T., 2014. Electronic health records implementation: an evaluation of information system impact and contingency factors. International journal of medical informatics 83, 779-796. Olbrich, S., Poppelbuß, J., Niehaves, B., Critical contextual success factors for business intelligence: A Delphi study on their relevance, variability, and controllability. System Science (HICSS), 2012 45th Hawaii International Conference on, 2012, pp. 4148-4157. Olszak, C.M., 2016. Toward better understanding and use of Business Intelligence in organizations. Information Systems Management 33, 105-123. Olszak, C.M., Ziemba, E., 2012. Critical success factors for implementing business intelligence systems in small and medium enterprises on the example of upper Silesia, Poland. Interdisciplinary Journal of Information, Knowledge, and Management 7, 129-150. Pedyash, D., Kokin, S., Belov, A.V., Wang, T., Shi, C., 2013. The Influence of Organizational Structure On The Business Intelligence Implementation Process (Focused in Canadian And Russian Enterprises Based in China). Advances in Information Sciences and Service Sciences 5, 1109. Petrini, M., Pozzebon, M., 2008. What Role is “Business Intelligence” Playing in Developing Countries? Data mining applications for empowering knowledge societies 241. Ponelis, S.R., Britz, J.J., 2013. A descriptive framework of business intelligence derived from definitions by academics, practitioners and vendors. Popovi?, A., Hackney, R., Coelho, P.S., Jakli?, J., 2012. Towards business intelligence systems success: Effects of maturity and culture on analytical decision making. Decision Support Systems 54, 729-739. Puklavec, B., Oliveira, T., Popovi?, A., 2018. Understanding the determinants of business intelligence system adoption stages: An empirical study of SMEs. Industrial Management & Data Systems 118, 236-261. Raghupathi, W., Raghupathi, V., 2014. Big data analytics in healthcare: promise and potential. Health information science and systems 2, 3. Ranjan, J., 2008. Business justification with business intelligence. Vine 38, 461-475. Ravasan, A.Z., Savoji, S.R., 2014. An Investigation of BI Implementation Critical Success Factors in Iranian Context. International Journal of Business Intelligence Research (IJBIR) 5, 41-57. Robert Hurley, D., Tahir Jan, M., Abdullah, K., 2014. The impact of technology CSFs on customer satisfaction and the role of trust: An empirical study of the banks in Malaysia. International journal of bank marketing 32, 429-447. Rockart, J.F., 1978. Chief executives define their own data needs. Harvard business review 57, 81-93. Sangar, A.B., Iahad, N.B.A., 2013. Critical factors that affect the success of business intelligence systems (BIS) implementation in an organization. intelligence 12, 14-16. Schieder, C., Gluchowski, P., Towards a consolidated research model for understanding business intelligence success. ECIS, 2011. Villamarín, J.M., Diaz Pinzon, B., 2017. Key Success Factors to Business Intelligence Solution Implementation. Watson, H.J., Wixom, B.H., Hoffer, J.A., Anderson-Lehman, R., Reynolds, A.M., 2006. Real-time business intelligence: Best practices at Continental Airlines. Information Systems Management 23, 7. Wixom, B., Ariyachandra, T., Douglas, D.E., Goul, M., Gupta, B., Iyer, L.S., Kulkarni, U.R., Mooney, J.G., Phillips-Wren, G.E., Turetken, O., 2014. The current state of business intelligence in academia: The arrival of big data. CAIS 34, 1. Wixom, B.H., Watson, H.J., 2001. An empirical investigation of the factors affecting data warehousing success. MIS quarterly, 17-41. Yeoh, W., Gao, J., Koronios, A., 2008. Towards a Critical Success Factor Framework for Implementing Business Intelligence Systems: A Delphi Study in Engineering Asset Management Organizations. Springer. Yeoh, W., Koronios, A., 2010. Critical success factors for business intelligence systems. Journal of computer information systems 50, 23-32. Yeoh, W., Popovi?, A., 2015. Extending the understanding of critical success factors for implementing business intelligence systems. Journal of the Association for Information Science and Technology 67, 134-147. Yeoh, W., Popovi?, A., 2016. Extending the understanding of critical success factors for implementing business intelligence systems. Journal of the Association for Information Science and Technology 67, 134-147. Yildiz, M., 2007. E-government research: Reviewing the literature, limitations, and ways forward. Government Information Quarterly 24, 646-665. Zaied, A.N.H., Grida, M.O., Hussein, G.S., 2018. EVALUATION OF CRITICAL SUCCESS FACTORS FOR BUSINESS INTELLIGENCE SYSTEMS USING FUZZY AHP. Journal of Theoretical and Applied Information Technology 96. Zhang, D., Chee, Y.M., Mondal, A., Tung, A.K., Kitsuregawa, M., Keyword search in spatial databases: Towards searching by document. Data Engineering, 2009. ICDE'09. IEEE 25th International Conference on, 2009, pp. 688-699. Zhou, X., Sun, G., A Study of the Critical Factors That Impact Users Satisfaction in ERP Implementations in China. Information Science and Engineering (ICISE), 2009 1st International Conference on, 2009, pp. 2824-2826.